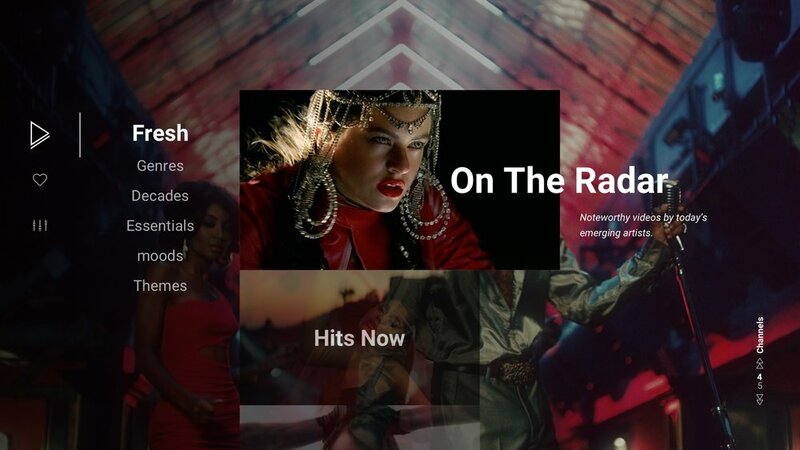 BROOKLYN — March TK, 2019 — International music video service XITE announced the debut of the ultimate music video experience in the United States – with its all-new user and artist friendly streaming app across set-top boxes, connected devices, smart TVs. Availability on mobile devices and tablets will follow in the second half of 2019. XITE is now on Amazon Fire TV, Apple TV, Comcast X1 Xfinity and coming soon to Roku, and features a full catalog of music videos from artists across all major and top independent labels. XITE’s advisory board includes media and music executives Bill Roedy, Roger Faxon, Jason Flom and Eric Budin. All major music labels and many independents — including Sony Music, Universal Music, Warner Music, Beggars, EMPIRE, PIAS, Armada, and Spinnin' Records — license their complete music catalogs to XITE, giving the company access to virtually every available music video. XITE aims to offer the best music video experience in the world. Founded in Amsterdam in 2008, the Netherlands, XITE now reaches 80 million households across Europe, North America, and the Middle East through linear networks, interactive TV, and on-demand streaming services. The company revolutionized the way audiences experience music videos by allowing viewers to search, like, and skip through its vast catalog; enjoy channels curated by its team of music experts; and create personalized channels based on genre, era and visual style using its unique Mixer feature. XITE has access to virtually every available music video through agreements with all major and top independent music labels.